Caroline Wilkes Interiors takes a unique approach to designing a space. Each project presents an exciting opportunity to create an environment that is everything clients ask for and more. And while experience informs every project, it takes careful listening to first understand a client’s needs and desires, and then the expertise and creativity to develop the vision into a wonderful, workable concept. From designing one room in your home to managing a commercial remodeling project, the level of enthusiasm and attention to detail is the same, and every job is executed in the most cost-conscious, time-efficient and stress-free manner possible. Caroline Wilkes Interiors’ portfolio showcases a unique aesthetic that first speaks to each home or building’s age and architecture, so the result always feels appropriate and congruous in design style. Our ultimate goal is to cultivate a fresh and timeless space that will function optimally, retain its beauty and stand the test of time. Only the highest quality products, materials and workmanship are used to support a great-looking, long-lasting, durable interior. Commercial projects include a specialty in lobby, atrium and clubhouse areas, ballroom and entertainment spaces, card rooms, kitchens and rest rooms, and corridors in co-op and condominium properties in Manhattan, Great Neck, Syosset and Plainview. Residential services include home design and renovation for kitchens and baths, living and dining areas and bedrooms in Lloyd Harbor, Manhasset, Great Neck, Long Beach, Oceanside and The Hamptons. Caroline Wilkes Interiors also offers design services in Florida, having completed projects in Palm Beach, Boca Raton and Miami. Caroline is the Principal of her commercial and residential design firm. She is a native Long Islander who graduated New York Institute of Technology and Metropolitan Institute of Design, and continues to learn, research and stay on top of the very latest industry trends, technologies and product innovations. 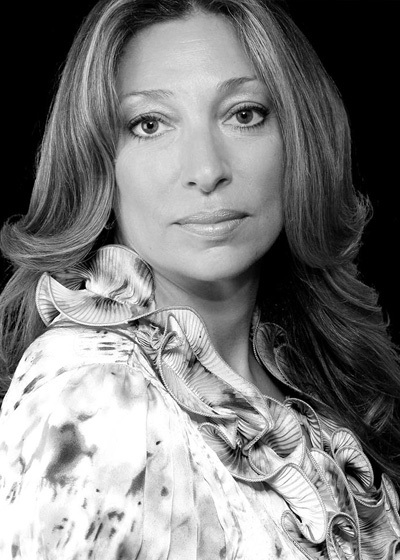 She has served as Marketing Director for Interior Design Society of Long Island, and is also a published writer who reports on design trends for regional publications including LI Pulse and Newsday. Collaborative by nature, Caroline is an active member of the local design community. When working with clients, she believes it is a team approach with the exchange of ideas and great communication that fosters a positive and productive work relationship. More than anything, she truly enjoys helping people achieve the sensational spaces they aspire to. "Caroline, has done work in both my homes. She is not pushy and listens to what I have to say after all it is my home. I have recommended many people to her and everyone has been very happy. She has many resources both high end and economical for all budgets." "My husband and I won a consultation with Caroline Wilkes Interiors. When Caroline came to our home we had an idea of what we wanted for our living room and Caroline brought our vision to life. Our otherwise under used living room has become a place we love to spend time in. Caroline is easy to work with and respects your taste and budget." "Caroline has been working with us on various projects for several years and has exceptional design skills. She can be counted on for a job well done!" "Recommending Caroline as a design professional is easy for me – she is extremely talented, easy to work with, has a great personality and is well liked by all around her. She has a wonderful flair for thinking outside the box and translating her visions so all involved have a total understanding of the project. Caroline is a terrific lady!"